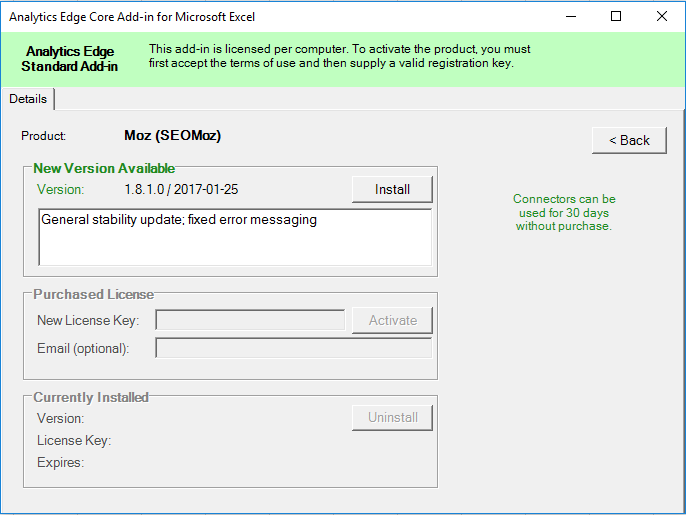 CRITICAL: make sure to update the Analytics Edge Add-in BEFORE updating connectors. Some of the older add-ins caused corruption problems when updating certain connectors (e.g. Google AdWords or Bing Ads). 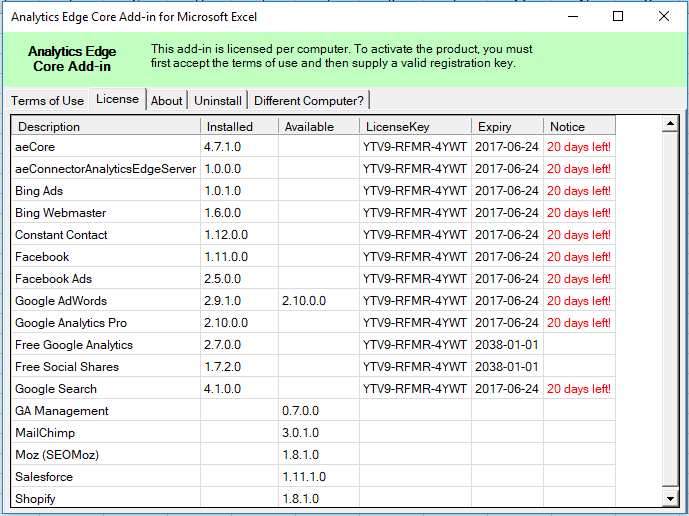 All Analytics Edge connectors are managed by the add-ins themselves — click the License button on the Analytics Edge ribbon bar to open the License wizard (may appear as “License UPDATE”). If there is an update available, the new release number will appear in the “Available” column. Click the entry for the connector to get details. IMPORTANT: Always update the Add-in itself (top of the list) to the latest release BEFORE updating the connectors. To install the connector, simply click the Install button. You will be instructed to restart Microsoft Excel to complete the process. The new connector version should automatically activate your license for you.